We all love our aging parents. In certain situations, a portion of our love must be devoted to assisting parents who have lost their ability to think clearly and make rational decisions. It is common, as time goes along, for the elderly to become unable to make sound decisions about a variety of issues includes finances, health care and managing themselves at home. Dementia, blindness, or frailty can all play a part in this loss of independence. Below are a few options for you to consider as you ponder on ways to assist a loved one. Power of attorney grants legal authority to an individual to make decisions on behalf of another. Laws for creating a power of attorney vary from state to state and can be limited to specific issues or broadened to handle many issues such as personal and financial matters. An advance directive is a document in which a person uses to make provisions for health care decisions in case that person becomes unable to make such decisions. There are two main types of advance directives: a Living Will and Durable Power of Attorney for Health Care. In some cases, a hybrid of these two directives can be set up. This is a signed, witnessed document called a declaration or directive in which most instruct an attending physician to withhold or withdraw medical intervention from its signer if the signer’s condition is terminal and is unable to make decisions about medical treatment. This is a signed, witnessed document in which the signer designates an agent to make health care decisions on behalf of the signer if the signer is temporarily or permanently unable to make such decisions. The signer does not have to have a terminal condition. The agent, in this case, will have the authority to decide if health care will be provided, withheld or withdrawn from the signer. In many states, the terms guardianship and fiduciary are used interchangeably. The laws, however, governing these terms vary from state to state. According toÂ Law.com, a fiduciary is an agent in whom complete confidence is placed by another in regard to either a particular transaction or all of one’s general affairs or business. The relationship is not necessarily formally or legally established as in a declaration of trust but can be one of moral or personal responsibility, due to the superior knowledge and training of the fiduciary as compared to the one whose affairs the fiduciary is handling. Guardianship is an option available when an aging parent does not have a power of attorney or advanced directive already in place. Guardians are appointed based on professional opinions and a decision of the court once a person is declared incompetent. The court transfers the responsibility for managing finances, living arrangements and medical decisions to the guardian.Â This process can take a lot of time. Guardians can be given limited or broad authority over an individual. Â Sometimes guardianship can be distributed to multiple people. Guardians may be required to report to the court on a regular basis about a variety of issues. 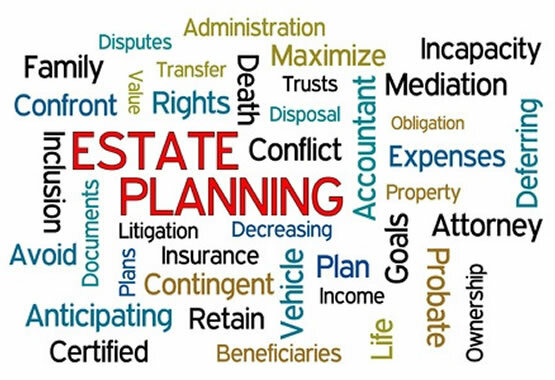 If someone is appointed a guardian, and the incapacitated person already has an agent under a durable power of attorney or health care advance directive, the court will normally determine whether the agent’s authority shall continue. Considering any of the above? When establishing responsibility for help with an individual’s decision making and care, it is extremely important to do what is right for that individual. The right course of action should be based on the needs of the individual, what stage of life they are in, and their personal preferences. Regardless of which option you might utilize from above, take advantage of a goodÂ elder law attorney in your area. They understandÂ eldercare issues and varying state laws. A good elder law attorney will make sure all parties understand the implications and responsibilities of each option.